Brad Brian is a national trial lawyer and Co-Managing Partner of Munger, Tolles & Olson. A complex civil and criminal litigator, Mr. Brian is a Fellow in the American College of Trial Lawyers and the International Academy of Trial Lawyers. 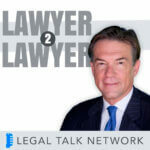 He has been identified by Chambers USA as one of the top trial lawyers in the country. In 2015-16, he was named a “Litigator of the Year” by The American Lawyer, a “Winning Litigator” by The National Law Journal, and a California Lawyer Attorney of the Year for his victory on behalf of Transocean, an MDL litigation arising from a massive oil spill in the Gulf of Mexico. In 2013, Best Lawyers named Mr. Brian “Lawyer of the Year” for Bet-the-Company Litigation. For more than a decade, Mr. Brian has been named to the Daily Journal’s “Top 100” list of lawyers in California.